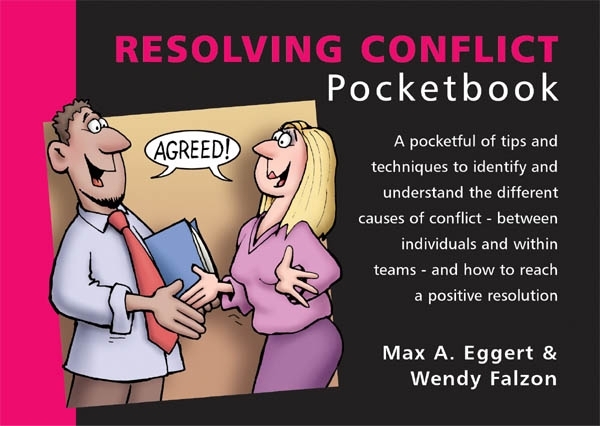 The Resolving Conflict Pocketbook explains what conflict is, how to recognise signs of conflict, how people react to it, how to develop strategies for dealing with it, how to resolve difficulties and how to deal with bullying and harassment. Causes of conflict are numerous and varied. The list includes distorted thinking (e.g. over-generalisations), playing games (we’ve all played them!) and, of course, the male-female divide. In looking at conflict within the context of personality, Eggert draws on the seminal work of Myers Briggs. To resolve conflict, the book describes a process that identifies where you are in the conflict cycle, what to expect next and what you should be working towards. Conflict and third party intervention (mediation and arbitration) is another area dealt with, as is team conflict and conflict between different departments and operational functions.